Quentin Groves, a former NFL linebacker, died Saturday, Oct. 15, 2016, according to multiple news sources. He was 32. Groves died in his sleep while visiting his wifeâ€™s native country of Trinidad. Fox Sports has reported that he had a heart attack. Groves was diagnosed in 2008 with Wolff-Parkinson-White syndrome, which causes rapid heartbeat. He underwent surgery for the condition that same year and resumed playing football. He was drafted by the Jacksonville Jaguars in the second round in 2008. He played parts of eight seasons in the NFL for seven different teams. He recorded 175 tackles, nine and one-half sacks, two interceptions, and five forced fumbles in his professional career. Born July 5, 1984, in Greenville, Mississippi, Groves attended Auburn University, where he was a standout at the defensive end position. He was named first-team All-Southeastern Conference in 2006. He holds the school record with four sacks in a single game, and he tied the career sacks record with 26. He met his wife, Teska Baptiste, at Auburn, where she ran track. 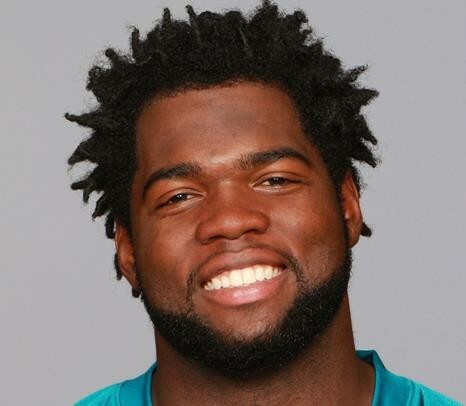 Quentin was an outstanding man, on and off the field, said former teammate Marcedes Lewis in a statement released by the Jacksonville Jaguars. I am very grateful to have had the opportunity to spend two seasons with him. My thoughts and prayers are with his entire family on this incredibly sad day. Groves is survived by his wife and two children.